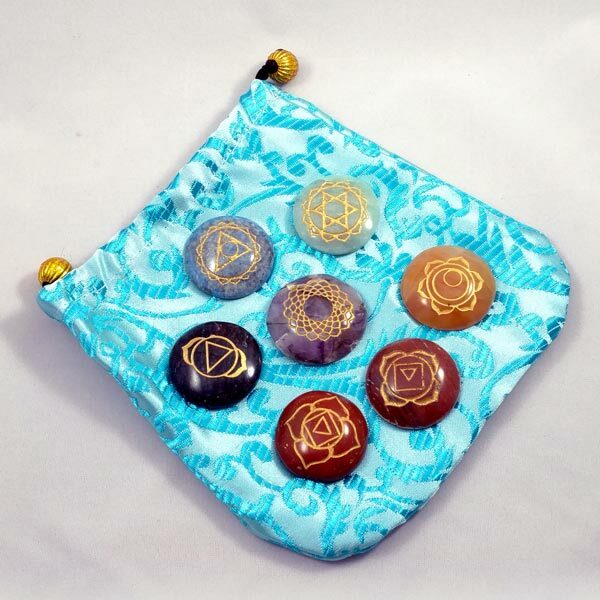 This kit contains seven 1-1/4 inch gemstone disks, one for each of the major Chakras. 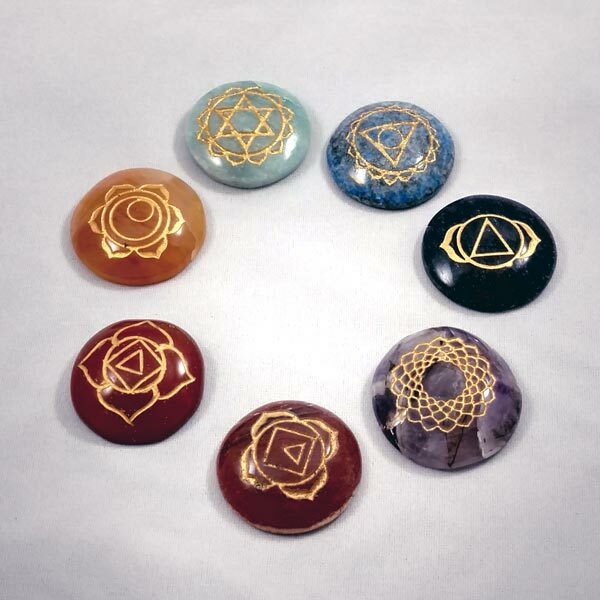 Red Jasper, Red Aventurine, Yellow Aventurine, Green Aventurine, Lapis Lazuli, Blue Aventurine and Amethyst. Arrives with labeled stones in a satin pouch (our choice of color) with a Use/Instruction sheet.